When it was originally established by President George W. Bush on November 29, 2004 in Executive Order 13363, the Afghanistan Campaign Medal (ACM) was to be awarded to personnel in the uniformed service of the United States who served in Afghanistan or its contiguous airspace on or after October 24, 2001 (the terminal date was, of course, yet to be determined). That time frame, however, was altered in 2006 with the passage of Public Law 109–163, which changed the beginning date of Operation Enduring Freedom—and eligibility for the ACM—to September 11, 2001. But the changing nature of the U.S. mission in Afghanistan led to the eligibility dates for the ACM to again be altered. On December 28, 2014, both President Barack Obama and Secretary of Defense announced that while Operation Enduring Freedom’s combat mission had come to an end, a new training and advisory mission called Operation Freedom’s Sentinel would take its place. The Department of Defense announced on February 19, 2015 that the new operation would be a qualifying operation for award of the ACM, calling it “Phase II” of the Afghanistan Campaign and retroactively dating its inception to January 1. It goes without saying that the terminal date is still to be decided by the Secretary of Defense. 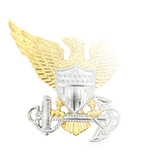 The precise eligibility requirements for the ACM are spelled out in AR 600-8-22, Military Awards. Essentially, servicemembers can qualify for the award in one of two ways: a minimum length of service (either 30 consecutive days or 60 nonconsecutive days) with a unit in the defined area, or by specific actions. 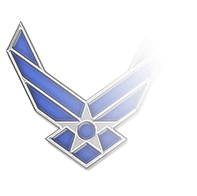 These include engaging in combat during an armed engagement; being medically evacuated from the area due to wounds or injuries suffered while taking part in an operation or performing official duties; or being part of an aircrew flying sorties over, into, out of, or within the area, with each day of such flight operations counting as a full day toward the 30- or 60-day minimum. The Afghanistan Campaign Medal can be awarded posthumously, but no person may receive it more than once. 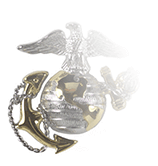 Further, recipients of the ACM are excluded from also receiving the Global War on Terror Expeditionary Medal, Global War on Terrorism Service Medal, Iraq Campaign Medal, or the Armed Forces Expeditionary Medal for the same time period, action, or Service. 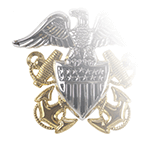 Recipients of the ACM are eligible for a Bronze Service Star for each campaign they took part in during Operations Enduring Freedom and Freedom's Sentinel; a Silver Service Star is worn to reflect participation in five elibile campaigns. 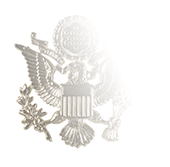 As of January, 2017, there are a total of six campaigns for which servicemembers may wear a Bronze Service Star with their ACM: Liberation of Afghanistan, Consolidation (I, II, and III), and Transition (I and II).